Linda Ronstadt is a highly successful American singer. 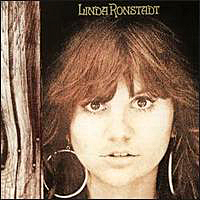 Linda Ronstadt's third solo album was a self-titled release, produced by John Boylan, presenting a finely-honed country-rock sound with plenty of commercial appeal, a natural development from her first two albums. Three of the songs were recorded live at The Troubadour in L.A. in 1971. Six of the songs, including the live ones, featured backing from her touring band of the time, which included guitarist Glen Frey and drummer Don Henley. Other musicians featured on the album included J.D. Souther, Bernie Leadon, Randy Meisner, Gib Guilbeau, Dean Webb and Herb Pederson of The Dillards, three pedal steel guitarists in Sneaky Pete Kleinow, Weldon Myrick and Buddy Emmons, and the Muscle Shoals rhythm section of Barry Beckett, David Hood and Roger Hawkins. The diverse selection of songs included numbers originally by Neil Young, Jackson Browne, Johnny Cash, Patsy Cline, Woody Guthrie and Fontella Bass. Like her first two albums, it proved to be not much of a commercial success, which prompted her departure from Capitol Records. However it was surely an artistic triumph, and set the groundwork for her later successes. Another result of the album was that Frey and Henley from her backing band teamed up with Leadon and Meisner in the studio, and with Ronstadt's blessing they subsequently went off on their own as The Eagles.